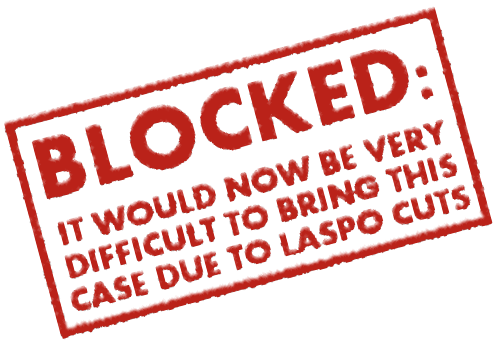 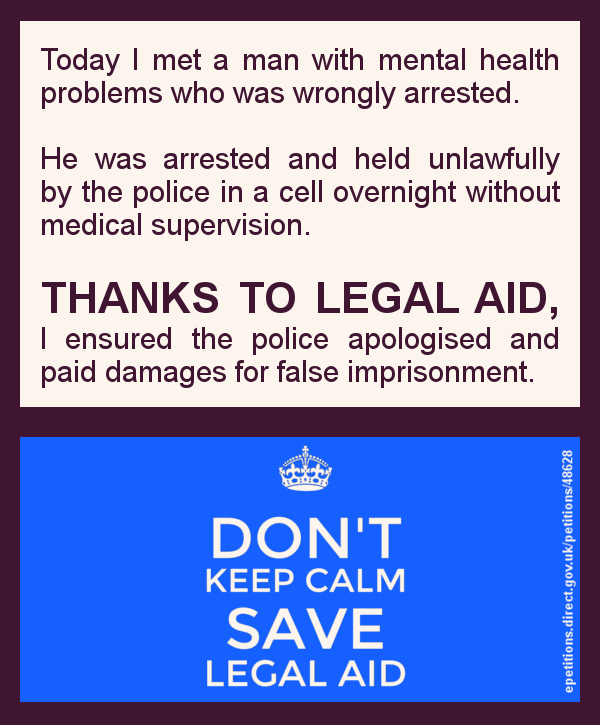 THANKS TO LEGAL AID, I was able to get an apology from the police to a man with mental health problems for false imprisonment. 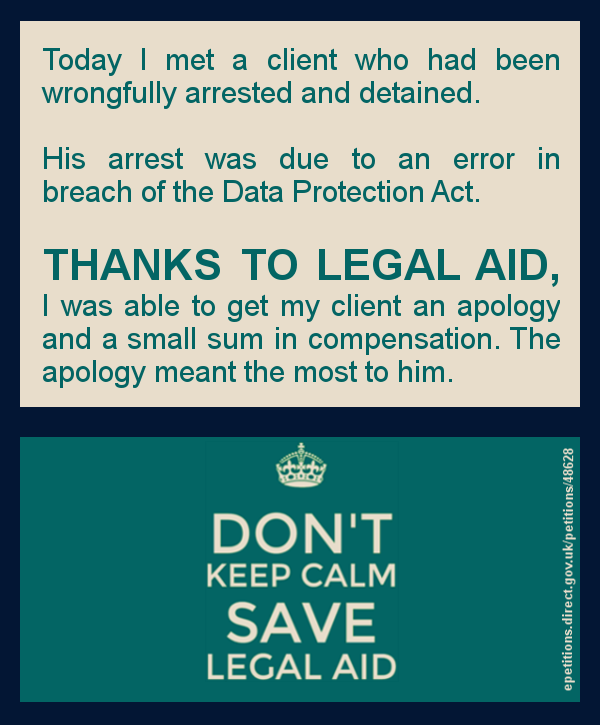 THANKS TO LEGAL AID, I was able to help a client get an apology for wrongful arrest and detention. 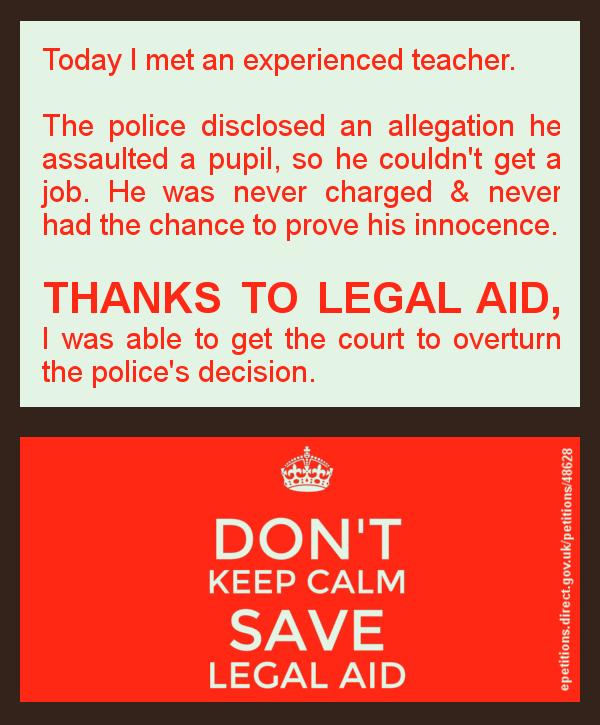 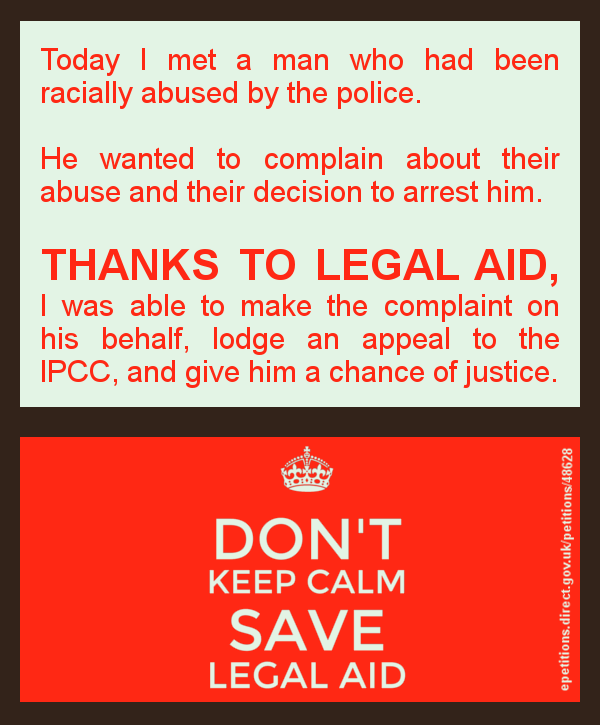 THANKS TO LEGAL AID, I was able to help a man who had been racially abused by the police.